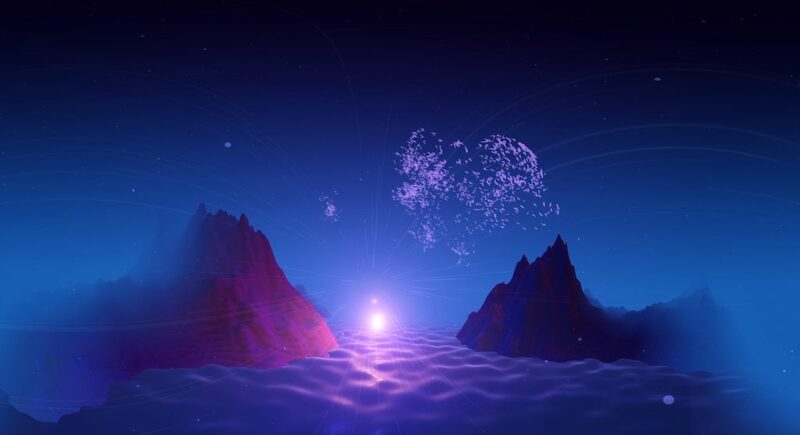 If virtual reality is for anything, surely going on a musical trip is what it’s for. 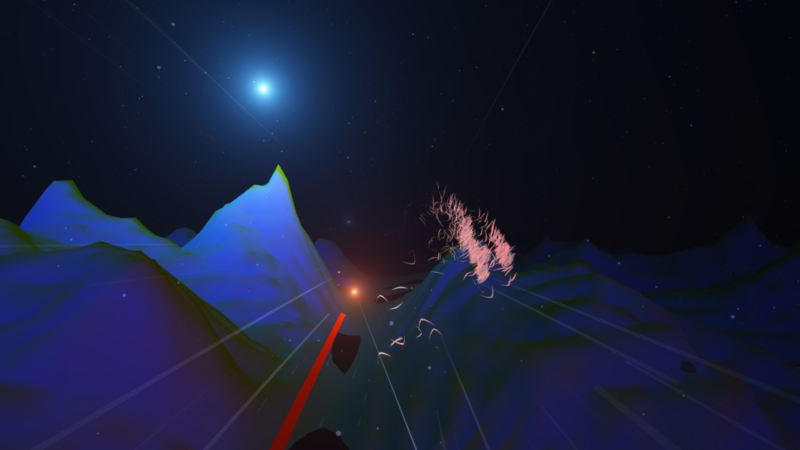 So it’s fitting that Ninja Tune artist Bonobo is making a step into the world of virtual reality. 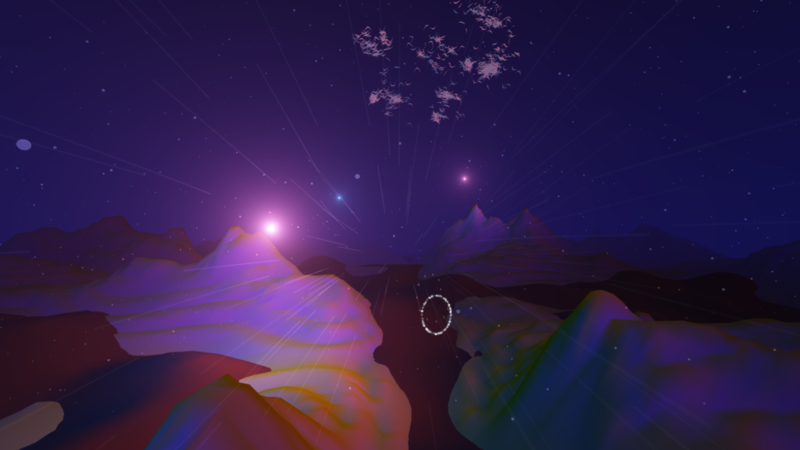 And stepping into “Outlier” (off the album Migration) in virtual reality form is really like taking a trip – the song itself becoming a pathway. 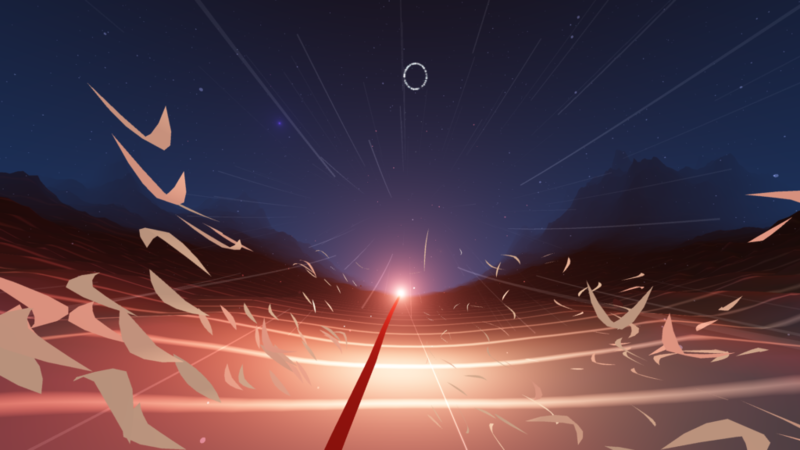 Built for Google’s Daydream platform, the “Outlier” VR app first prompts you to steer through a landscape with your controller, the song advancing toward you as glowing space-y, misty abstract hills and portals. 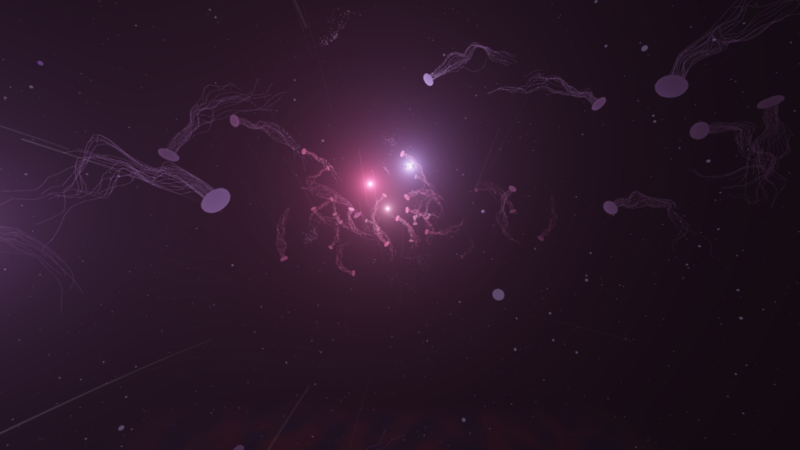 You then summon a flock of birds, which you guide through rings and pulsing sonic visualization. The creators are quick to note that everything here is intended to have a one-to-one correspondence of music to visual event. Rather than sound and musical score being wallpaper pasted on the back of the experience, then, the whole environment seems to be generated by the sounds themselves. Colors shift with the timbres; lights and outlines pulse and ripple with all of Bonobo’s dreamy musical flourishes. The music itself seems still relatively linear, but certainly you have the feeling of placing yourself in its progression. And that creates a sense of space and immersion that deepens the feeling of synesthesia – making visual and sonic elements inseparable. 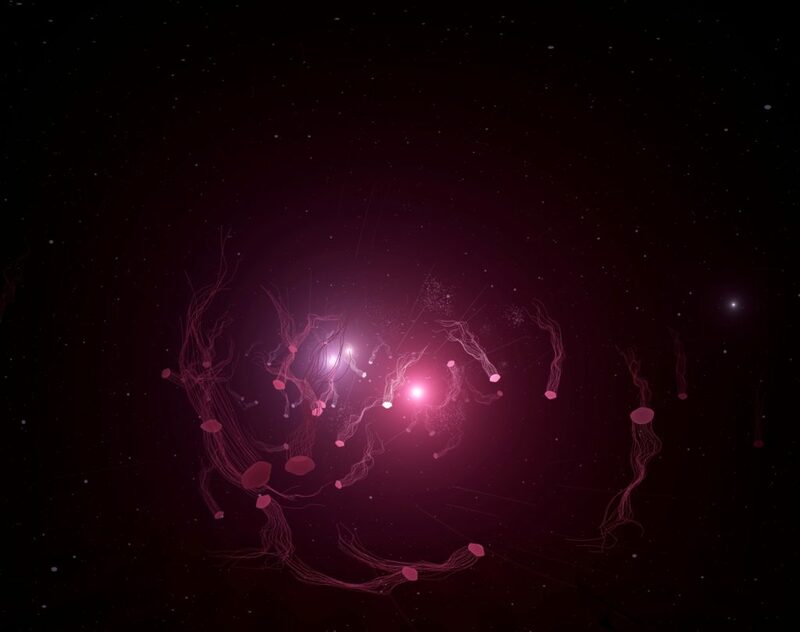 And the audio playback is generative, as are the visuals, powered by Reactify – a project spiritually descended from the earlier RjDj, in endeavoring to make reactive music a reality. The upshot here is that the song isn’t just something that plays end-to-end – nor are the visuals locked to some fixed playback – but rather a world you can enter and traverse at the pace you desire. It’s all a free download … and some very nice bait to get on this platform or at least one like it. 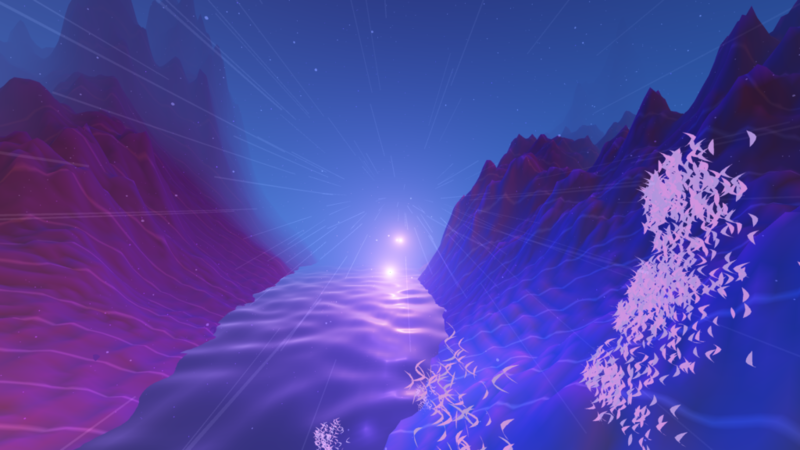 If VR is escapism, that is, here’s a world you’d want to escape into. And as music has gotten more insubstantial and flat, losing even its fantastical album covers, here’s a view of the track and album as something to get lost in all over again. If you like this, it’s one of three. Reuben Cainer and My Panda Shall Fly are also available. What you need to run this: First, you need a Daydream-compatible phone – see the complete list from Google, but it’s Google’s Pixel and the latest handsets from Moto, Huawei, Samsung, and so on. And you’ll need the accessories – Daydream View (remote and headset).